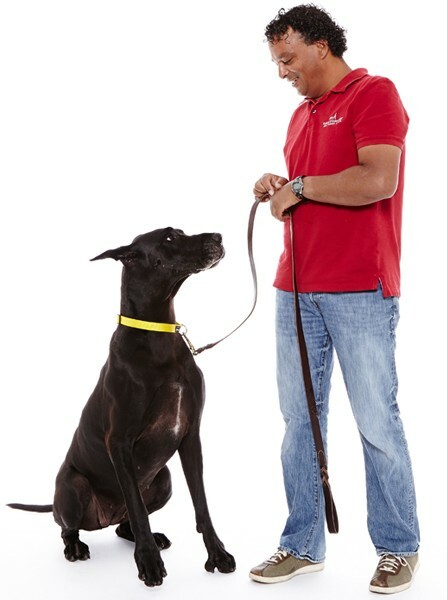 I, along with my business partner Danielle, created Follow the Leader Inc. Dog Training School seven years ago. At the time there were a number of dog schools in Toronto but few were focused on training dogs using solely positive reinforcement. I have been working hard in the dog industry for the last fourteen years. I have worked virtually every job in the industry from Vet Assistant to Animal Care and Service Worker. I’m a fully Certified Professional Dog Trainer (CPDT-KA), I Certify Therapy dogs through "The Comfort Squad”, and am a certified Canine Good Neighbour (CGN) evaluator designated by the Canadian Kennel Club. I am a member of the APDT (Association of Pet Dog Trainers) and the Canadian Kennel Club (CKC). I spend my work days teaching dog training classes and at people’s homes helping them build better relationships with their dogs. On the weekends I compete with my own dog in Agility, Rally obedience and scent detection. I live in Toronto with my Border Collie / Aussie Maple and couldn’t be more devoted to her.